Vancouver, BC -- Aben Resources Ltd. (TSX-V: ABN) (OTCBB: ABNAF) (Frankfurt: E2L2) (the "Company") announces, further to its News Release on December 18th, that the Company has increased its flow-through private placement to up to 4,333,333 Flow-Through Units at a price of $0.15 per Flow-Through Unit to raise gross proceeds of up to $650,000. Each Flow-Through Unit consists of one flow-through share and one share purchase Warrant entitling the holder to purchase an additional non-flow-through common share at a price of $0.20 for a period of one year. The Company has also increased its non-brokered non-flow-through private placement to up to 1,851,852 Units at a price of $0.135 per Unit to raise gross proceeds of up to $250,000. Each Unit consists of one common share and one share purchase Warrant entitling the holder to purchase an additional common share at a price of $0.18 for a period of one year. A finder's fee in the amount of 7% cash and 7% warrants may be paid in connection with part of this private placement offering. The private placement is subject to TSX Venture Exchange acceptance. 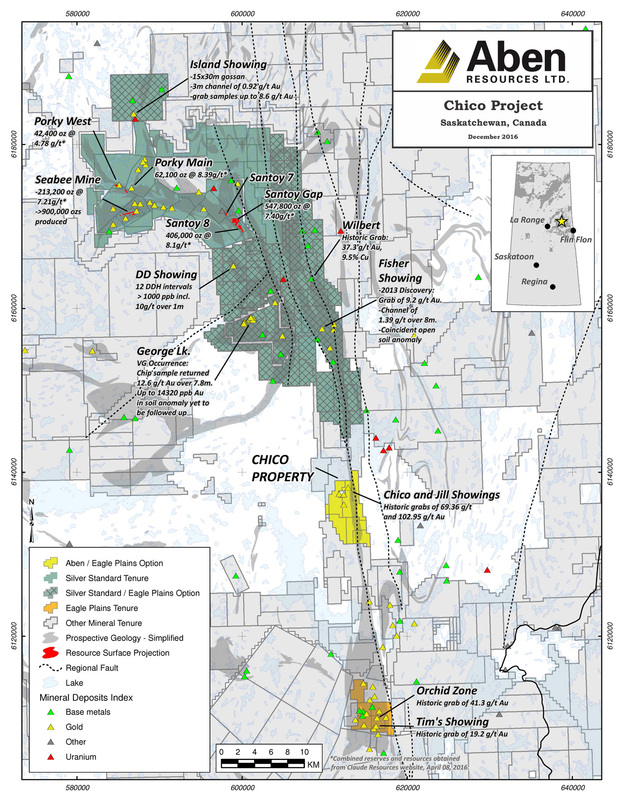 The Company intends to utilize the proceeds from the private placements for an upcoming 2018 exploration and drilling program at its Chico Gold Project in Saskatchewan and for general working capital purposes. Aben Resources is a Canadian gold exploration company developing projects in British Columbia’s Golden Triangle, Saskatchewan and the Yukon. Aben Resources has approx. 53.2 million shares issued and outstanding.